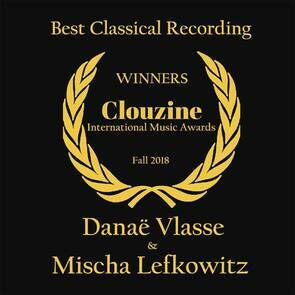 Violinist Mischa Lefkowitz of the Los Angeles Philharmonic performs original compositions by award-winning composer and pianist Danaë Xanthe Vlasse. The music is lyrical and poignant as it explores states of transition in people and in nature. People experience myriad transitional and, often, ambiguous emotional states; this album explores an intersection of the conscious mind and the subconscious while caught in dreams, memories, and longing. The album presents these concepts against the backdrop of transitions in nature, as portrayed through the ebb-and-flow of ocean tides, the passage of day into night, and the cycle of the seasons. unlikely to have been touched thus far... unquestionably magnificent." "Vlasse’s sweet-toned piano...offering a beautifully mobile bed of sound over which Lefkovitz’s violin sings." "A showcase of control from Lefkovitz, whose purity of sound is remarkable." Winner: Silver Medal (Best Composition, Best Composer and Best Classical Album) - Global Music Awards. Winner: "Best Instrumental Album" - CLOUZINE International Music Awards. Nominated: “Best Classical Album” - Independent Music Awards. A collection of Mrs. Vlasse's most popular compositions - with over a quarter of a million online plays! Available via all major retailers. Ms. Vlasse has the skill, training and heart to express whatever she chooses in her music, and does it breathtakingly well. [Trilogies] needs to be heard! 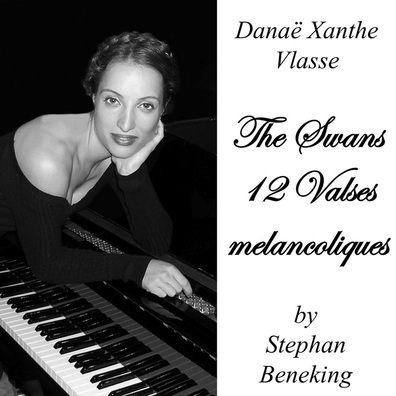 "Gorgeous piano pieces expertly recorded.There is no questioning the talent of Danae Xanthe Vlasse. I think you will have reverence for the skill displayed here." "[Vlasse's music] shows a strong command of chromatic harmony and thematic development." 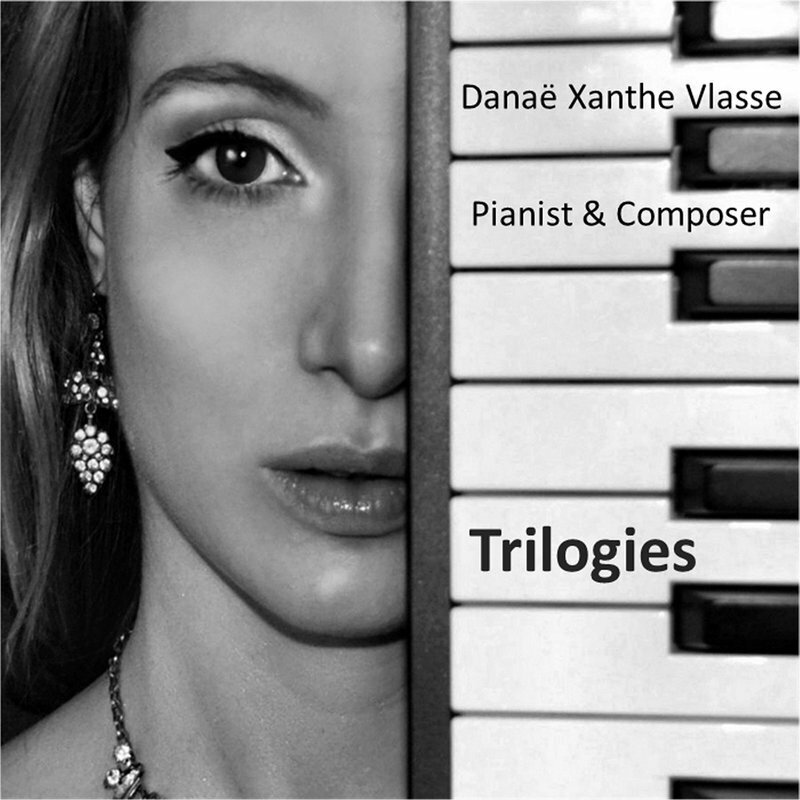 TRILOGIES Album Notes: Award-winning composer and pianist Danaë Xanthe Vlasse offers a collection of new works for piano in the style of the great 19th century Romantic tradition. Each type of piece seeks a different sort of experience, from feeling simple moments of quiet pleasure to great prolonged adventures full of contrasting moods. The three “Fantaisies” are grandest in scope and tell epic stories of emotional battles such as succumbing to madness, facing the unknown, defying death and overcoming great internal obstacles. The “Nocturnes” seek to explore different night-time landscapes; some are quite serene while others are more imposing. The “Petite Valses” were all conceived as little lullabies. And finally the three “Préludes” celebrate scenes of daily life, each one inspired by a different mood. Music Video for track #2 from "Trilogies," featuring Aitana Jordan! to mind spirit-steeped realms and whispered myths.'" This album was released in July 2015; it is exclusively available on digital release and is immediately available for download on itunes and amazon, as well as googleplay. This album was released in October 2013; it is available as a hard-copy as well as on digital release and is immediately available for download on itunes and Amazon. 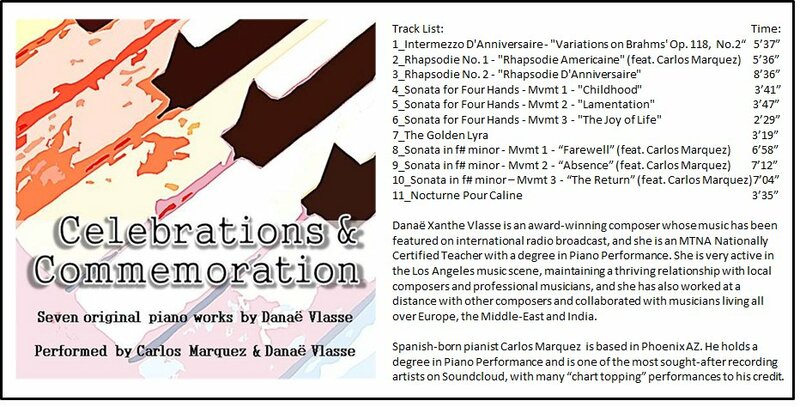 This violin and piano album was released in June 2017; it features music by Danaë Vlasse along with pieces by Beethoven, Gounod, Dvorak and others! The album is available for download on CDBaby! These albums were both released in 2016 and feature Vlasse compositions alongside other traditional repertoire. Both albums are available in hard-copy as well as on digital release and immediately available for download on iTunes!